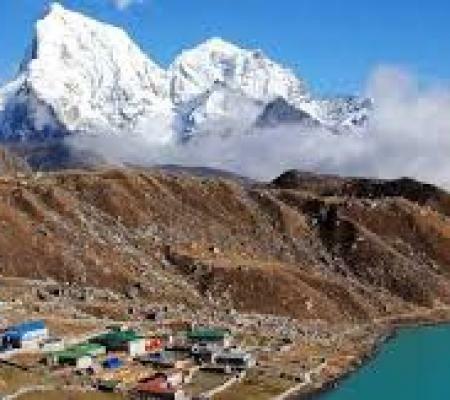 Gokyo Valley Trek gives an outstanding view of bewildering mountain scenes and cognizance into the lifestyle of Sherpa people, and their unique culture and tradition. 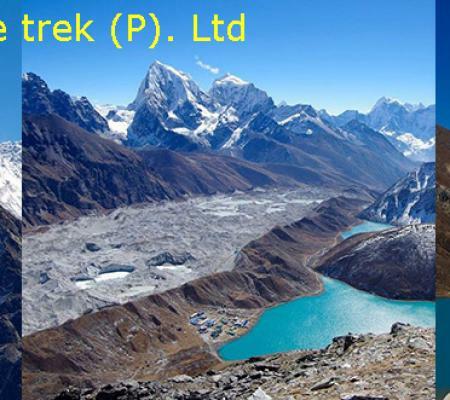 The trek takes you to the beautiful environment of Gokyo Lake with the mesmerizing panoramas of Everest and its neighboring mountains. 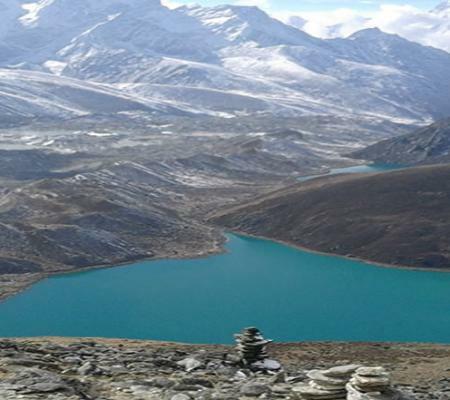 Gokyo Ri which is situated at the height of 5,340 m will be our high point of the trek with exciting views of Himalayas with the Everest as well. 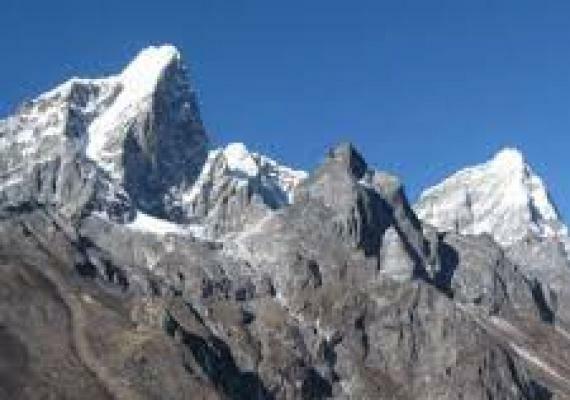 We’ll walk towards the tremendous Himalayan scenery with exalted peaks that includes Ama Dablam, Lhotse, Nuptse, Pumori, Thamserku, Kangde, and others. Sherpa is considered as the famous high mountain people that follow the customary way of life. The occasional sighting in these areas includes different wildlife such as musk deer. 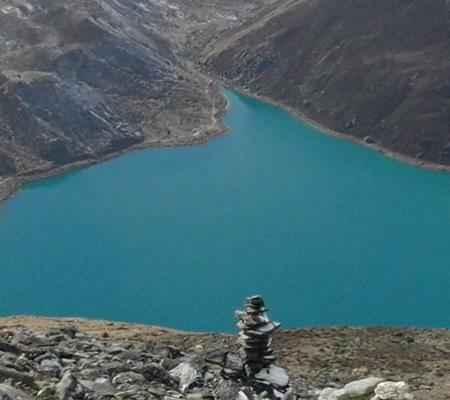 The 12 days trek for Gokyo Valley starts after your arrival in Kathmandu. We begin our trekking with different exciting views of the valley that offers a glimpse of its world heritage sites and different settlements. After flight towards Lukla, we walk through a Sherpa village that lies in the mountain region. You’ll notice unique culture and tradition of Sherpa people in the village. 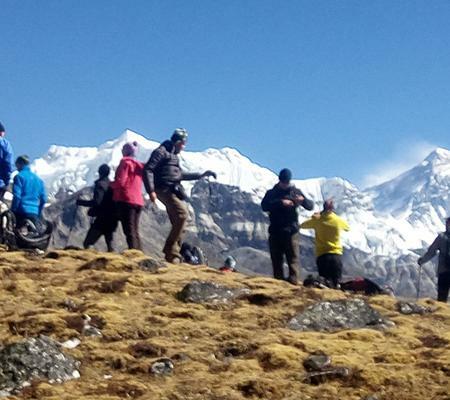 The trek follows the trail through a steep river valley to Namche Bazaar which is the gateway to the Khumbu region. This region is located in a natural arena that gives you exciting views of the valley with beautiful views of surrounding mountains. After resting in Namche Bazaar, we move towards the villages of Kunde and Khumjung. 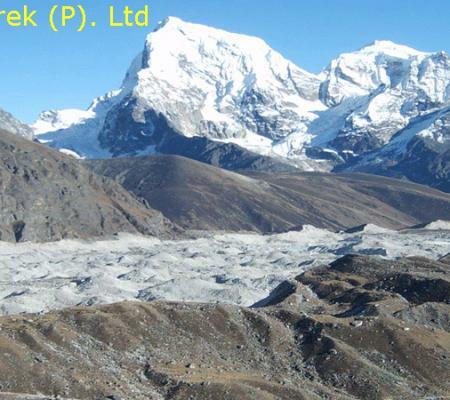 We follow the route of Gokyo Valley through the trail of Dole and Machhermo. After proper observation of the Gokyo region, we’ll again hike back towards Namche Bazaar and then to Lukla for flight towards Kathmandu. Our trek ends back in Kathmandu. Day 01: Arrival in Kathmandu, warm welcoming by CHARMING GUIDE ADVENTURE TREK team and transfer to hotel(1300m). Day 02: Kathmandu Sightseeing and preparation for next day trekking. Exploring large Khunjung Village and their unique culture and tradition. Visit major world heritage sites of Kathmandu. View of Mt. 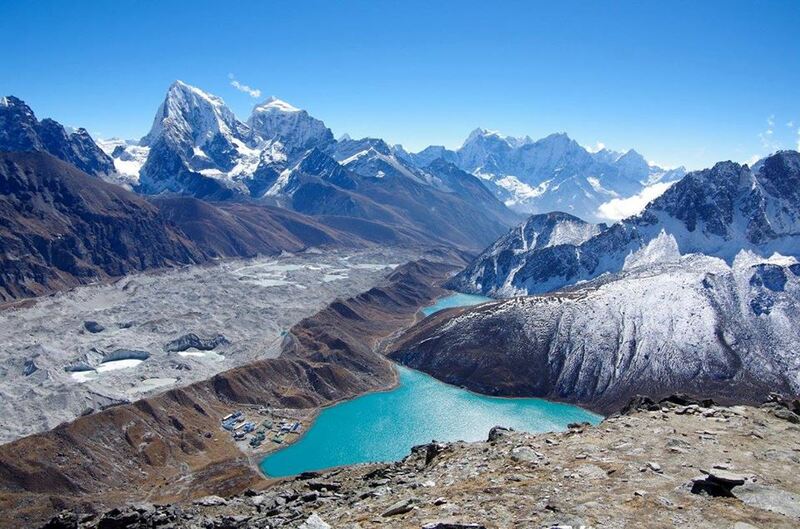 Everest,Gokyo Ri, AmaDablam, Lhotse, Nuptse, Pumori, Thamserku, Kangde,Cho Oyu, and its neighboring mountains. Day 1 : Arrival in Kathmandu, warm welcoming by CHARMING GUIDE ADVENTURE TREK team and transfer to hotel(1300m). After you arrive in Kathmandu, a representative will pick you up and transfer you to a hotel. After some rest, we’ll discuss the tour. In the evening, we’ll have a special dinner that introduces a Nepali food culture. Day 2 : Kathmandu Sightseeing and preparation for next day trekking. As morning raises, after early breakfast, we will manage you to visit major world heritage sites such as Pashupatinath Temple, a sacred site for Hindu and Buddhist. Syambhunath temple famous for sightseeing of Kathmandu Valley, Royal Kathmandu Durbar Square, and largest Boudhanath Stupa through the world. In the evening, you need to be well prepared for the trek. You should know all the essential factors and places before going on the trek. Overnight at hotel. In the morning, we take a flight towards Lukla with beautiful Ariel views of mountains. After reaching Lukla, we trek towards Phakding following the trail of the mountainside on the left bank of the Dudh Koshi River. Overnight in Phakding. After an early breakfast, we descend towards Namche Bazaar following the Dudh Koshi River. The trail goes through the plateau and different mountains by its side. 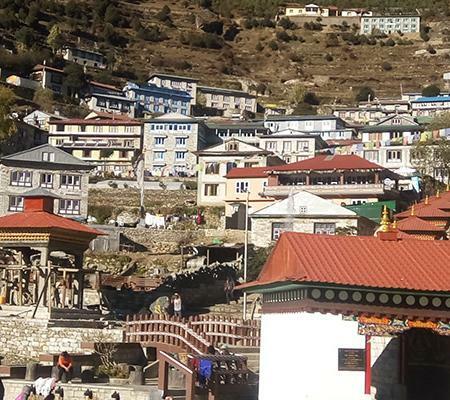 Namche Bazaar is surrounded by three mountains by its side and opens out only where it faces the Dudh Koshi River. Overnight in Namche Bazaar. Namche Bazaar is full of exciting views of mountains with different tea shops. We’ll spend the whole day in Namche Bazaar exploring its beauty and taking rest. After having breakfast, we continue our trek through the trail of steep roads, pass through PhortseTenga and climb towards Dole. We’ll observe beautiful rhododendron and birch forests in the way. Overnight in Dole. The next, we continue our trek towards Machhermo where the small and thorny bushes give way to scrub juniper as the altitude increases. 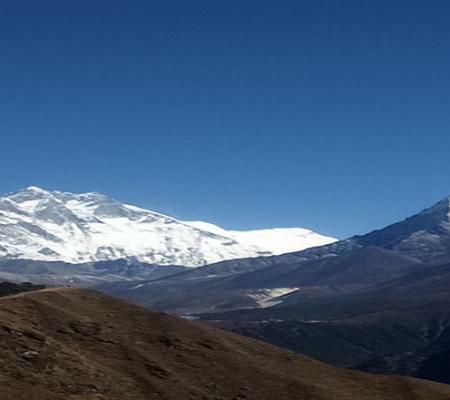 We’ll see the excellent views of Cho Oyu while going back down to the valley with awesome peaks including Kantega and Thamserku. Overnight in Machhermo. 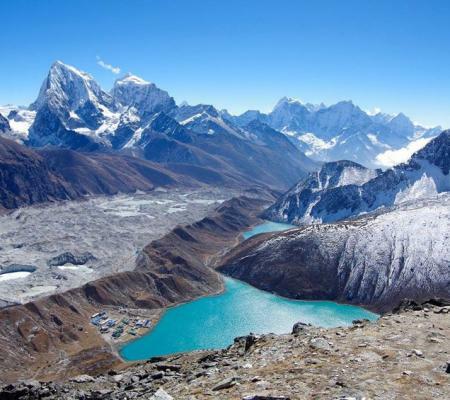 Today, we descend towards Gokyo through the path of Pangka following one of the melt-water Rivers that flows down the west side of the NgozumpaGlacier. We climb through the steep rocky trail into the valley by the side of the glacier. Overnight in Gokyo. 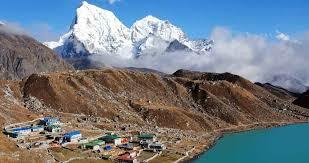 Gokyo Ri lies above the village that is situated on the northern edge of the lake. We’ll follow the steep path towards the hillside. The trail gives exciting views of Mt. 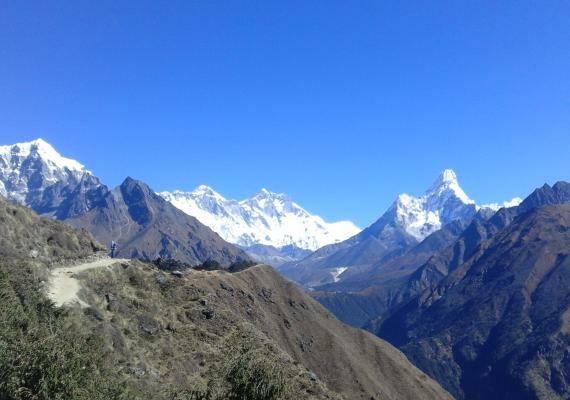 Everest, Cho-you, Lhotse and Makalu. After having our lunch, we trek back to the village of Machhermo. Overnight in Machhermo. After an early breakfast, we continue our trek towards Namche Bazaar. The trail goes down to Dole and starts with the steep roads to PhotseTenga. We’ll pass through Rhododendron forests and reach Namche Bazaar. Overnight in Namche Bazaar. Early in the morning, we descend towards Lukla with few short uphill climbs and then down to the Bhote-Koshi River. Overnight in Lukla. We’ll take a flight towards Kathmandu early in the morning. After reaching Kathmandu, you can do some shopping for gifts for your family and friends. Overnight in Kathmandu. Today, our tour comes to an end. After an early breakfast and hotel checkout, a representative will help you with your final departure.